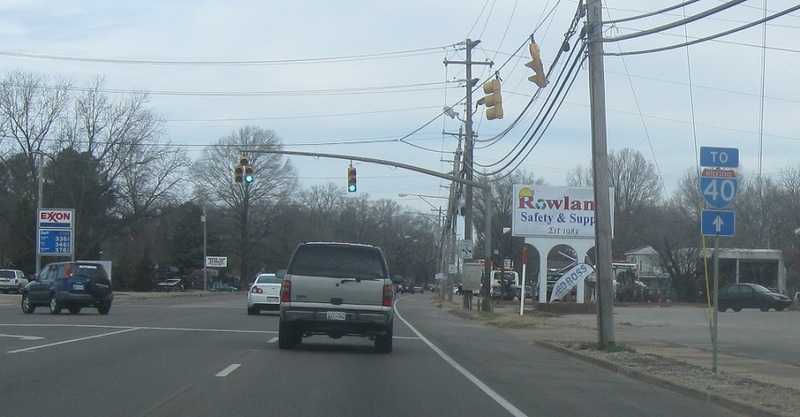 Reassurance shield after the SR 18 junction. 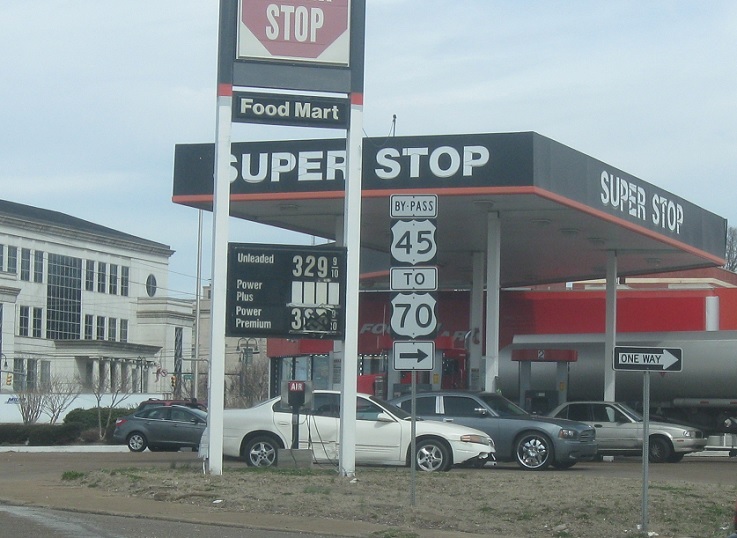 Stay on US-45 for Interstate 40. A few blocks later, keep left to stay on 45. Reassurance shield after forking left. 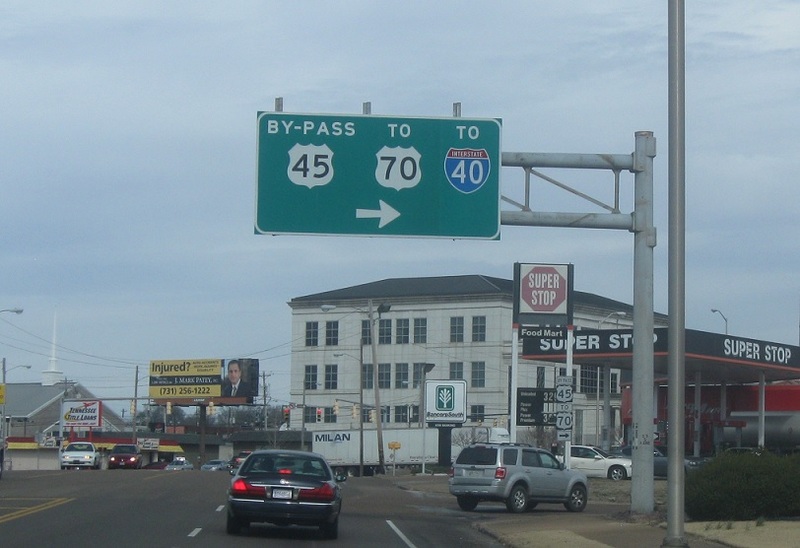 As we get into the center of Jackson, we’ll approach US-45 Bypass. 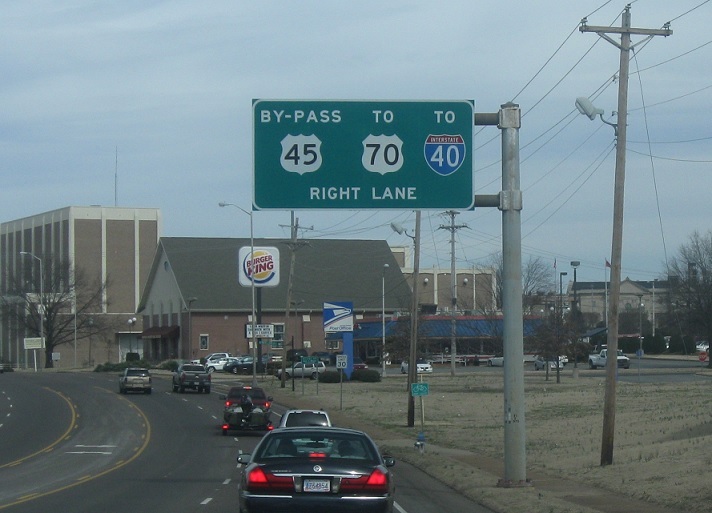 Keep right here for a quadrant type intersection to access 45 Bypass north and US-70 in both directions. 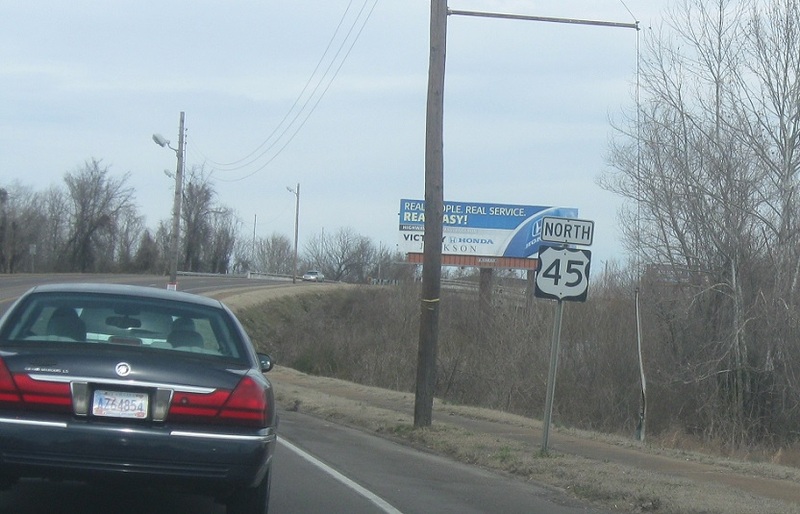 Turn movements are prohibited at the light in the distance, so you turn right and hook around to access 45 Bypass north, which loops around the west side of town. 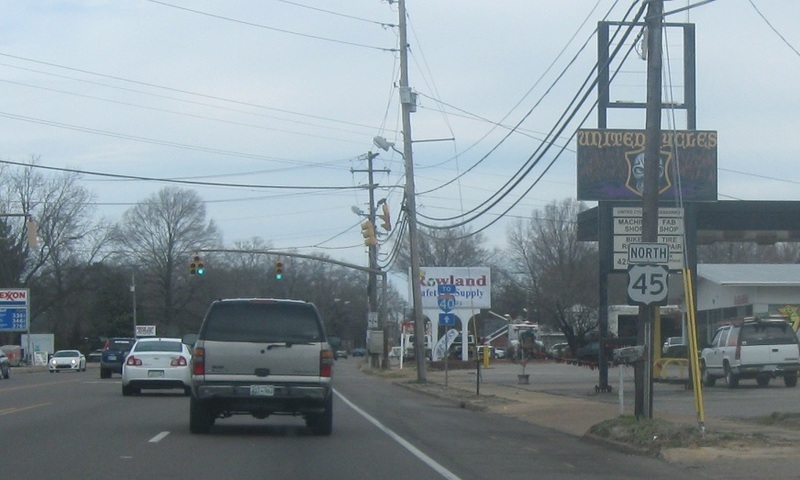 Turn right to connect to US-45 Bypass north, US-70/TN-1 in both directions, and unsigned TN-186 north which starts here for some reason. 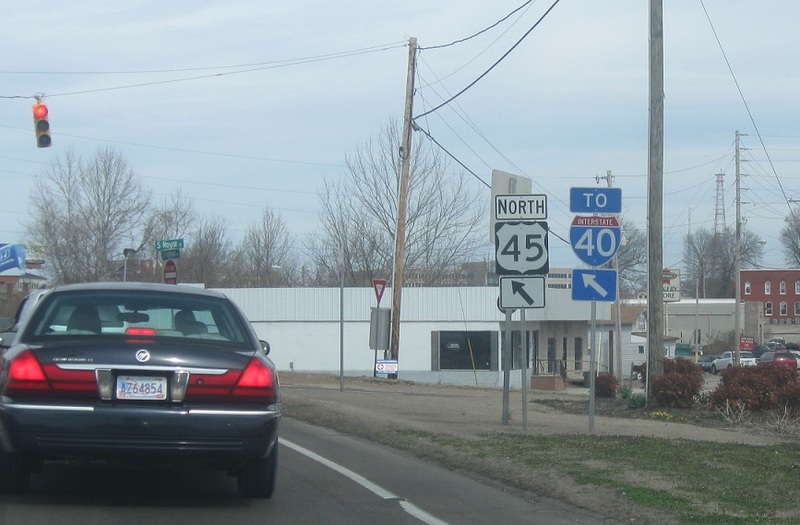 Stay straight for 45 north and Tennessee 5, which is downgraded to a secondary highway, through downtown Jackson.